Lightweight, durable, safe--the industry's recognized standard in safety and mobility. 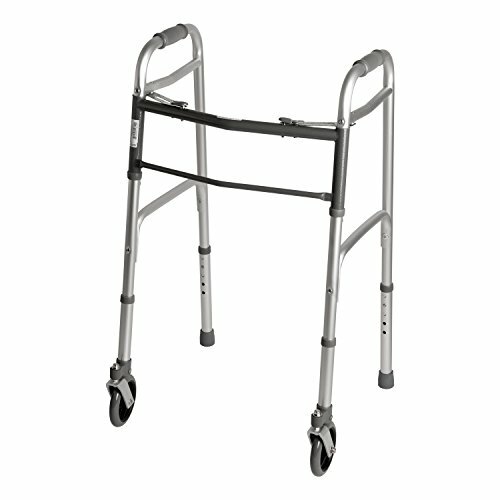 Indoor/outdoor use; home or office mobility--the Deluxe Walker provides the safest support you'll find anywhere! Folds easily for transportation! --Highest strength rating among all medical walkers, supports 300 lbs! --Adjustable for the perfect fit, no matter your height. --Indoor/outdoor; glides along any surface while safely supporting your entire weight. View More In Standard Walkers. If you have any questions about this product by Lifestyle Solutions, contact us by completing and submitting the form below. If you are looking for a specif part number, please include it with your message.